Welcome to the Autumn edition of the County Jottings. Our golfing season is complete and we have had only one success this year with our Elite Squad Boys winning the EGU South East Group Junior Foursomes at Sudbury in August – a marathon event – and a great win over some very classy opposition. The 1st Team just lost their League on 'goal difference' to Hertfordshire even though we beat them at the beginning of the season. Once again we were a distant 7th in the County Qualifying at Ashridge and really have some work to do in these stroke play events at every level. The Seniors did not dominate as they have done over the years and failed to reach any of their final opportunities. No doubt normal service will be resumed next year, but we could do with a few 'youngsters' catching the selector's eye. Our Junior Teams at U14, U16 and U18 levels all performed well and we are excited about the future with many of these lads looking as if they could be fighting for 1st team places in the very near future. We are grateful to our Sponsors – Fullers and Nike – for their support this year and the eleven Nike Futures Tour tournaments in 2012 should see us uncover a few potential 'superstars' from these events. 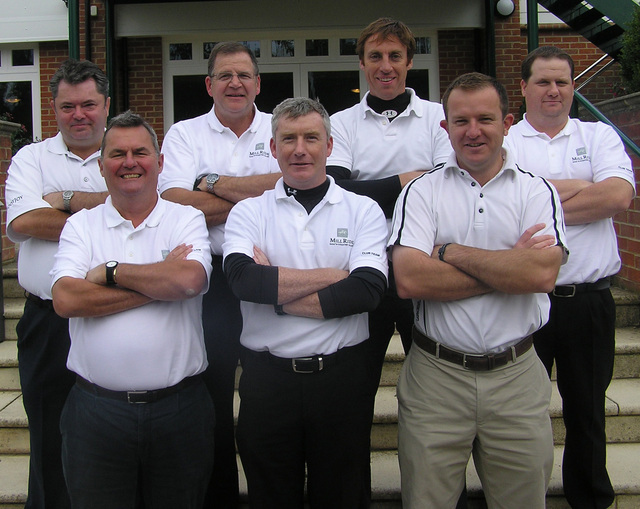 The work of the Golf Partnership continues with the Academy Coaching programme for this year now drawing to an end. A number of recruitment days have been held throughout the summer in order to identify junior players with potential who will go forward into next year's Academy programme. We are delighted that we have also established a Special Needs Academy Programme and we will have about 16 young adults experiencing the delights of this great game of ours – your money well spent. As ever, our special thanks to all the volunteers who work tirelessly behind the scenes to make all of our initiatives and tournaments such a success. Please feel free to do your bit – just call me if you would like to help in any way. Congratulations to all the winners of our Championship and Trophy Events, also to those who represented the County at Junior, Senior and County levels. 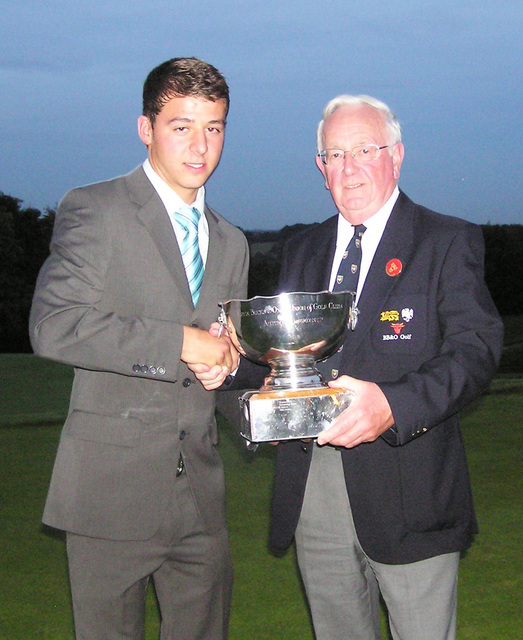 Sandy Bolton (Frilford Heath) won the main Order of Merit in a close run contest and Chris Aubrey (Caversham Heath) won the Junior Order of Merit by a mile. Finally, a special thanks to all the Clubs and Members who willingly gave up their courses for our events this year. We are appreciative of your support of County Golf. Our 4th and final League game of the year took us to Stanmore on 10th September to play Middlesex. Needing to win by a minimum 9-3 to win the League, we nearly got off to the perfect start and looked sure to take the morning foursomes 4-0. Sadly we lost the 3rd game having been well ahead all morning and went into lunch 3-1 up. To win 6 out of 8 singles was always going to be a big task and whilst it looked as if it might be possible at one stage, the end result was a share of the afternoon points. Although we won the match 7-5, it was not enough for us to overhaul Hertfordshire (we beat them earlier in the season). They finished with the same points but with a better 'goal difference' and therefore take the honours this year. Luke Williams earned his Colours, having played in 5 League matches. 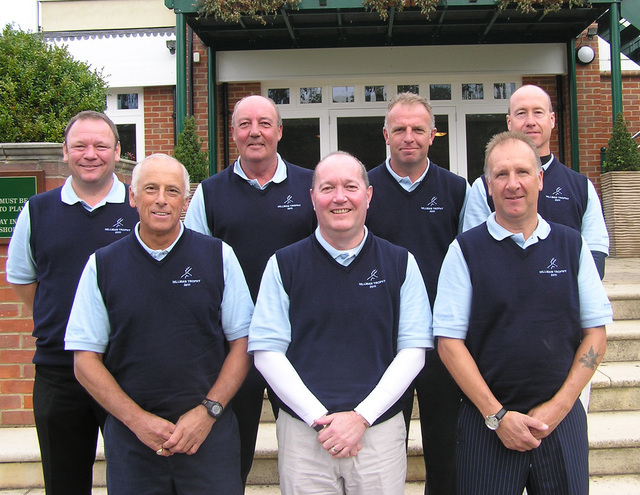 The team at Stanmore: Sandy Bolton (Frilford Heath), Craig Hinton (The Oxfordshire), Andrew Lynch (Stoke Park), Dean Newbold (Frilford Heath), Ben Paterson (Frilford Heath), Paul Raines (Winter Hill), Ashley Walton (Frilford Heath), Luke Williams (Donnington Grove). 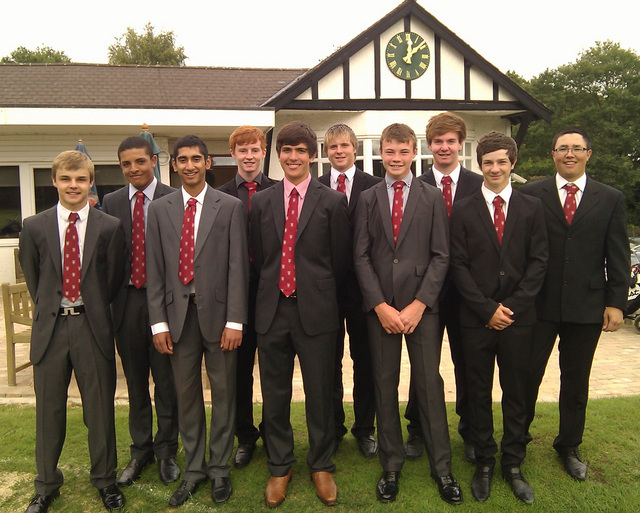 The Under 18s played their last match of the year against Wellington College at East Berkshire on 8th October. As always, the College fielded a very strong team including 2 English Girl Internationals off plus 3 handicaps. There were some creditable performances but we still lost out 3½-4½. However, the Team Management were very pleased with the team's efforts and think we have a really strong squad for the 2012 season. The team at East Berkshire: Ben Beach (Burnham Beeches), George Bell (Harewood Downs), Tom Butterworth (Harewood Downs), Jake Dines (Hinksey Heights), David Langley (Castle Royle), Tommy Lee (East Berkshire), Harry Wetton (Woburn), Jordan Williams (Hadden Hill). The Under 16s put on an impressive performance at West Hill on 30th August with a comprehensive win over Surrey in the Annual MUGS match. We took the foursomes 4-1 but the singles were a much tighter affair and finished tied at 5-5 to give us an overall victory 9-6. 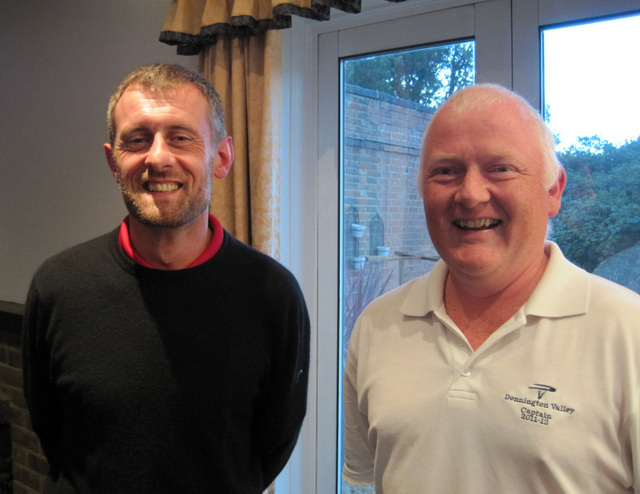 Started in 1994 these matches have featured the likes of Luke Donald and Paul Casey, just to name a couple of top Professionals who have enjoyed these matches kindly sponsored by the Mortimer Ubiquitous Golfing Society. The series now stands at 9 all. The team at West Hill: Patrick Bart (Burnham Beeches), Sam Brass (Castle Royle), Tom Butterworth (Harewood Downs), Alistair Cameron (Beaconsfield), Matteo di Carlofelice (Mentmore), Adam Dewji (Woburn), Jack Landauer (Blue Mountain), Chris Little (Frilford Heath), Max Nicholls (Newbury Racecourse), Tim Shin (Castle Royle). The Under 14s also played their last Friendly of the season against Surrey at Wellington College on 16th October. The format this year was 18 holes Foursomes 12 a side. Again, a very close match ending in a honourable draw. 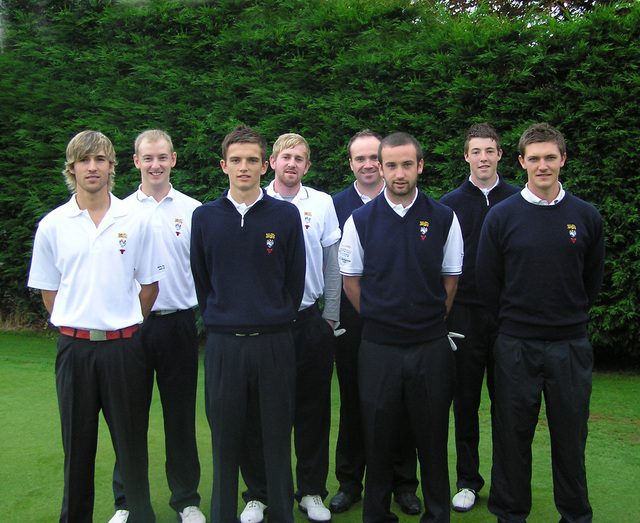 The team at Wellington College: Dylan Brownlie (Castle Royle), Zac Cooper (Harleyford), Michael East (Burnham Beeches), David Evans (Woburn), Jack Fairhall, (Henley), George Gardner (East Berkshire), Damien Hewitt (Castle Royle), Scott Proctor (East Berkshire), ,Marcus Pugh (Hazlemere), Robin Sullivan (Castle Royle), Ben Swales (Harleyford), Elliot Wills (Beaconsfield). 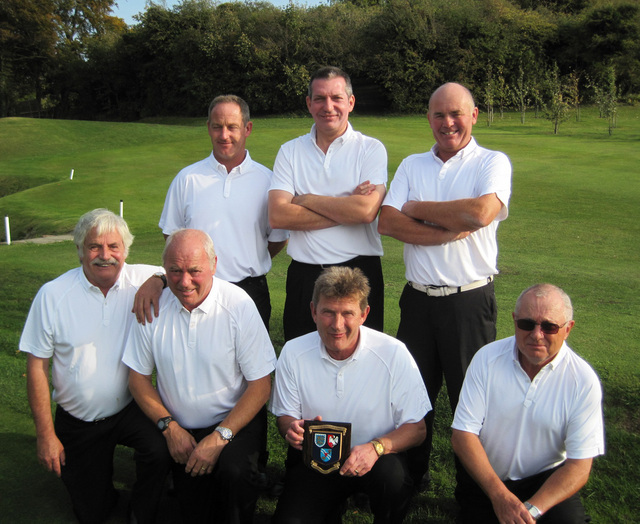 The Autumn Trophy was played at Flackwell Heath on 23rd September. After the morning round Paul Heselden (Harewood Downs) was leading after a 1 under par 70 just ahead of 4 players on 71 and 5 others who had shot 72. It was obviously going to be a close run thing in the afternoon. 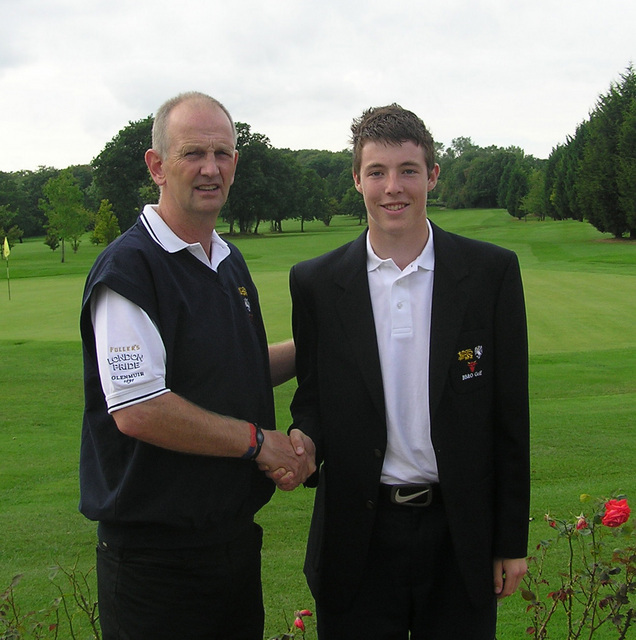 Jack Haines (Gerrards Cross) then produced a round of 69 to go with his level par 71 in the morning giving him a 2 under par total, which was just good enough to edge out Sandy Bolton (Frilford Heath) and Daniel Caton (Burnham Beeches). 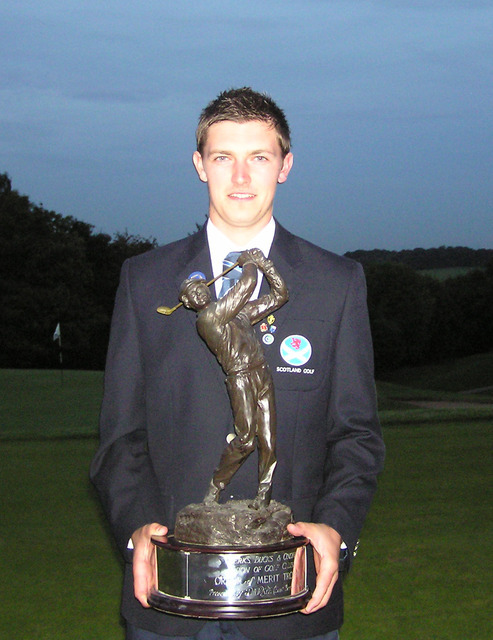 Sandy’s second place finish enabled him to win the Order of Merit Trophy. We had a record field for this event and everyone thought the course was in excellent condition, especially the greens and we were blessed with almost perfect weather for the day. A good end to a busy season. The Final was played on 16th October on the Blue Course at Frilford Heath on a lovely Autumnal day. In a very closely fought match, the result was 3½ points each after all the games had finished. Game 4 then went into extra holes and Mill Ride won the 1st to take the Trophy for the first time having been Runners Up in 1993. Mill Ride: Steve Collins, Alastair Jardine, Brian McKenzie, Aidan Troy, Bleddyn Williams, Danny Wilson, Bobby Wynne. 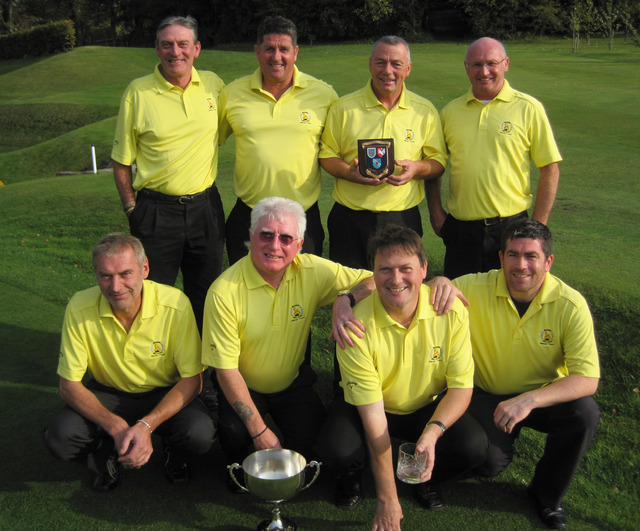 Studley Wood: Lee Ballinger, Pat Calvert, John Deller, Barry Derby, David Dust, Keith Edwards, John Talbot. The Final was played at Goring & Streatley on 23rd October with Reading getting the better of West Berkshire 5-2. 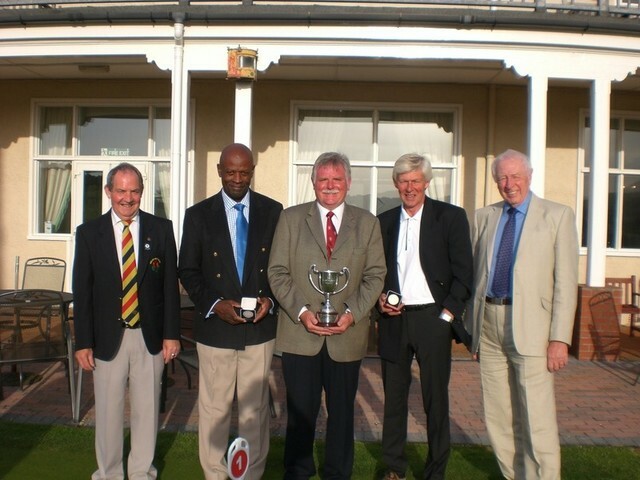 All the matches throughout the season in the Hillman Trophy were, as ever, played in great spirit with just one or two minor differences of opinion which we hope have been resolved by clarifying a few Rules for 2012. Reading: Jamie Goslyn, Paddy Goslyn, Chris Hamblin, Terry Hearmon, Arthur Manser, Duncan Montador, Gordon Young. Non Playing Captain - Cliff Hayden. West Berkshire: Tony Coventry, Charles Dixon, Grant Forbes, Andrew MacKenzie, Terry Richards Malcolm Thwaites, Kevin Wilkins. After a long season Sandy Bolton (Frilford Heath) just got the better of 4 time winner Ashley Walton to win the Order of Merit Trophy. 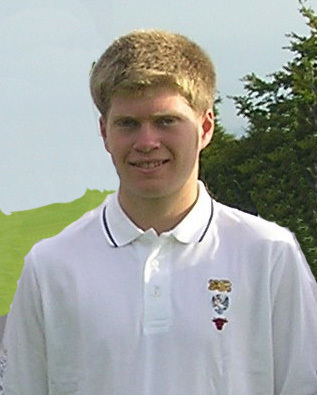 His joint second place in the Autumn Trophy at Flackwell Heath was good enough secure the title having been runner up to Ashley for the last 2 seasons. He needed a near record score to achieve his goal and we look forward to another great battle next year. Chris Aubrey (Caversham Heath) had a terrific run in the first 3 weeks of the JOOM season and won by 18¼ points from Junior Champion, David Langley (Castle Royle) with Matt Milligan (Sand Martins) in 3rd place. We played our preliminary rounds of this event at Hankley Common GC on 12th August. One of 4 preliminary events in the South we play Sussex, Hampshire and Surrey for a place in the Final. Having won last year we were in a positive mood but faced Hampshire in the morning semi. After losing the first 2 games we were always on the back foot and despite some good efforts in the last 3 games we went down 2-3 and were consigned to the 3rd/4th play-off match in the afternoon against Sussex which we won comfortably 3½-½. The team at Hankley Common: Ashley Brewer (Denham), Rod Crisp (Ellesborough), Duncan Forbes (Sonning), Robert Gill (Gerrards Cross), Cliff Pearce (Ellesborough), Gilbert Runnicles (Gerrards Cross), Phil Sewell (Castle Royle), John Summers (Frilford Heath), Jim Wilson (Frilford Heath). Phil Sewell (Castle Royle) won the Alan Hobson Trophy at Sheringham on 21st & 22nd September by just one shot from Ty Carter (Stevenage). Defending Champion David Lane (Goring & Streatley) finished 5th with Adrian Donkersley (Gerrards Cross) also claiming a top 10 position. A turnout of over 60 attended the Half Year Council Meeting on 19th October. John Petrie, CEO of The English Golf Union gave a presentation on the proposed merger between EGU and EWGA. He answered a few questions at the end and it was evident from a show of hands that all the Clubs that were represented were in favour of the County Union Executive Committee voting in favour at the Voting Members Meeting in November. The County Secretary/Treasurer then informed the meeting that those Clubs who were not present today, and had responded to his request, had also indicated by a large majority to vote for the merger proposal. Then the President, Max Kaye highlighted the achievements of the year. After the meeting the delegates enjoyed the hospitality of East Berkshire Golf Club with Peter Smith & Derek Andrews from Donnington Valley winning first prize in the Greensomes event. I am very sad to report that Tim Clutterbuck passed away on September 26th after a long illness. Tim was President from 2003/2004. 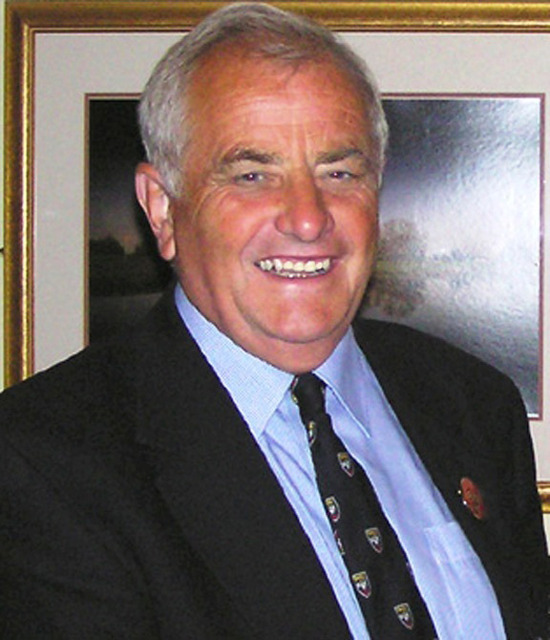 He was a member of Stoke Poges GC, as it was then, when he first came to BB&O and latterly at Beaconsfield GC. He was a great supporter of the County Union, even after his term of office, and was often present at matches and Championships where his views on Handicapping and Course Assessment made him one of my favourite Grumpy Old Men. We will miss him.